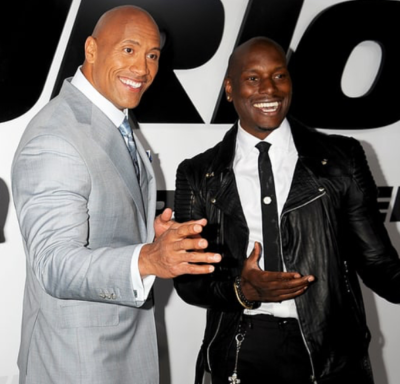 American actor, Tyrese Gibson has threatens to quit the “Fast and the Furious” franchise amid his ongoing feud with co-star Dwayne Johnson. The actor posted on Instagram telling his loyal fans and loved ones that he won’t appear in “Fast 9” if Johnson (aka The Rock) is involved. “I’m sorry to announce that if Dwayne is in Fast 9, there will no more Roman (Pearce). ” You mess with family and my daughter’s survival I mess with yours,” Gibson captioned a selfie of himself, Johnson, and Vin Diesel.